Cotman Watercolours are high class watercolours at an economical price. Removable clip on palette - Can be clipped on either side of the set for an extended mixing area. A Second internal palette - Can be used inside or outside the set on a flat surface. Inside of lid - Can also be used for extra mixing when other palettes are removed. A unique 'cartridge' designed to hold half pans and whole pans securely in place. Clips into all Cotman PLUS sets. This set contains 4 cartridges = 16 Cotman Half Pans and 3 x 8ml Cotman Watercolour tubes. 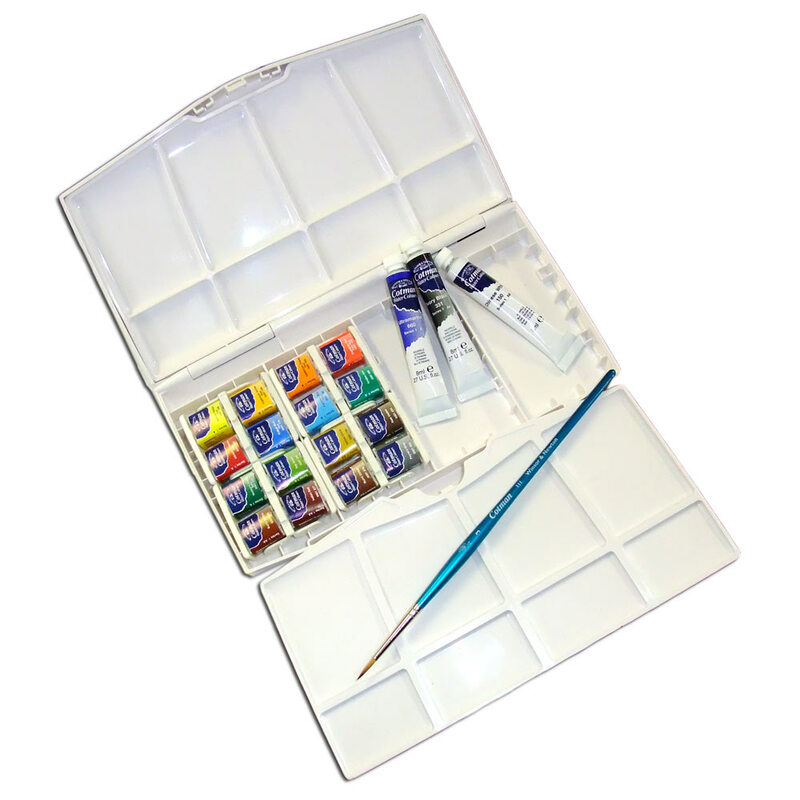 Additional storage space - suitable for cartridges, 3 x 8ml Cotman Watercolour tubes or accessories. Cotman brush Series 111 Size 3.